Dark neutrals can add dramatic flair to your room. Discover how this look works for big and small spaces. To start, use a dusting brush or cloth to remove any cobwebs, dust and loose dirt – this will ensure your paintbrush and paint stay clean and free from dirt while applying your paint. Mold can develop in damp and airless areas, so it’s a good idea to make sure that your home is well ventilated. To remove any visible mould, spray one of the following solutions on the wall – either 4:1 water/HTH (chlorine), or 4:1 water/JIK (sodium hypochlorite). Ensure that the areas are completely saturated, and allow the solution to react for a minimum of 4 hours. Rinse the complete wall surface thoroughly with clean water. If your existing wall surface is shiny and you’re painting it matt, you’ll need to lightly sand it down using a fine grade of sandpaper. 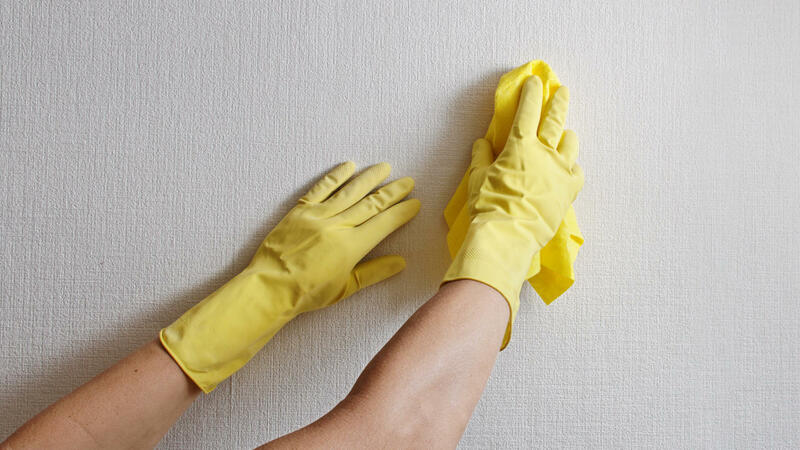 To get rid of wallpaper, we recommend you use a wallpaper remover – this contains a ‘digester’ that softens and loosens the glue. Without it, any remaining glue may discolour the paint later on. Once you have removed any old paint or wallpaper, wash down the surfaces that you plan to paint with diluted washing-up liquid and hot water. If you’re painting the kitchen, there may well be grease on the walls, so try using a slightly stronger solution of washing-up liquid. Make sure you rinse off any residues with clean water and leave the walls to completely dry before painting.